Everybody loves a thumbs up! As evidenced here. 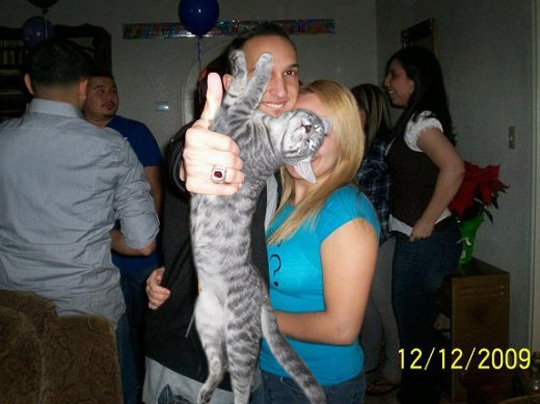 This guy has made the thumbs up exponentially awesomer by holding a Boozecat in his thumbing hand. Way to go buddy!